Considering taking up Rallying seriously? 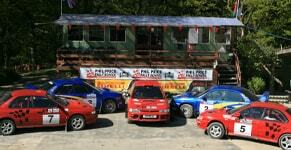 Anyone wishing to take up rallying must pass the M.S.A. 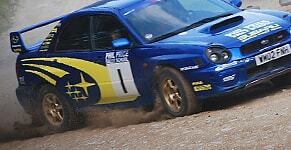 RALLY LICENCE Assessment Exam in order to obtain a licence to compete at competition level. This must be taken at The Phil Price Rally School or another B.A.R.S. registered school. Click on the following link to purchase your starter pack. The pack contains a Novice application form which includes the cost of the first licence, MSA Pen, Specimen Licence and a DVD, which contains the MSA Yearbook and a video on Rallying. Once you receive your starter pack it will guide you through the sections to be revised. Please make sure that you are confident with the information in preparation for your exam. 1. Standard test using our school cars. This consists of the written exam and a driving assessment on our rally stages. added benefit of tuition and you get a £90 discount off the Rally Course. Other offers are not valid on this combination.